I'm definitely a lover of all things Disney and now as a mommy-to-be I'm anxiously waiting for the day when my son will able to comprehend the magic of Disney a.k.a. the best day ever! 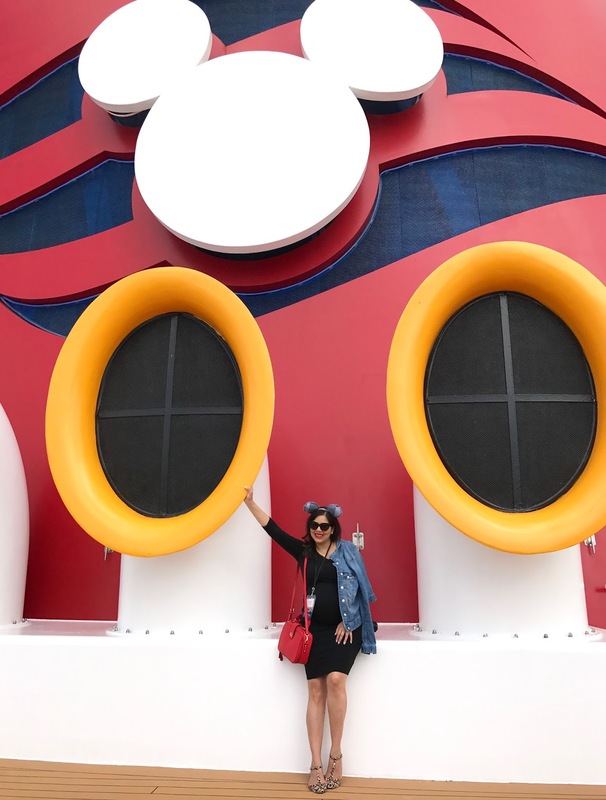 Since we still have a way to go, this mommy-to-be will reap the benefits of researching all of the fun family Disney activities (hee hee), one of them being the Disney Cruise Line! 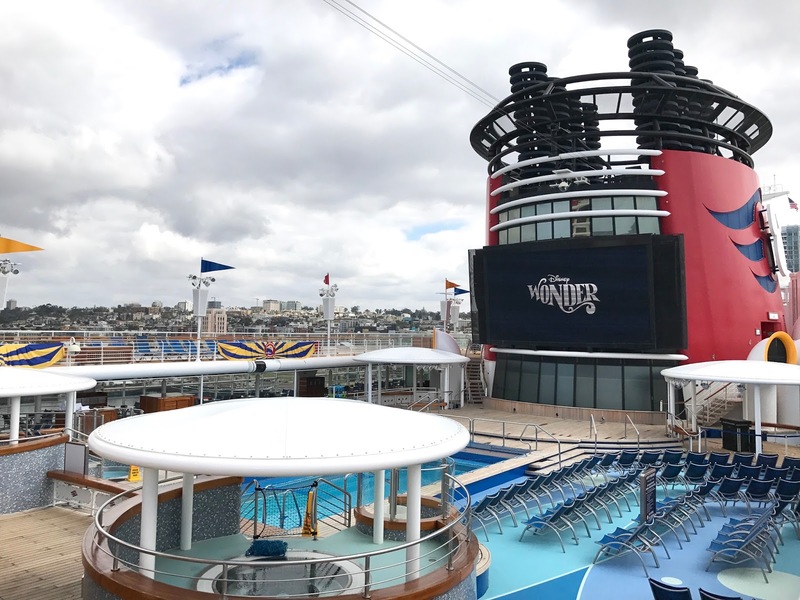 Since the Disney Wonder was docked here in San Diego, I was lucky enough to get a Media Tour of the ship and I wanted to bring y'all along via this blog post! I arrived with Mickey Ears on, ready to experience a bit of the Disney Wonder! 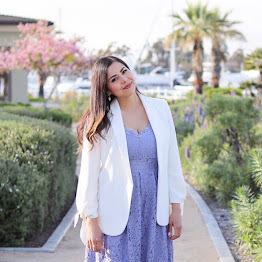 With over 2000 guests and 900 crew, the cruise that leaves out of San Diego, travels down to Ensenada and may go to Cabo depending on the cruise you select. 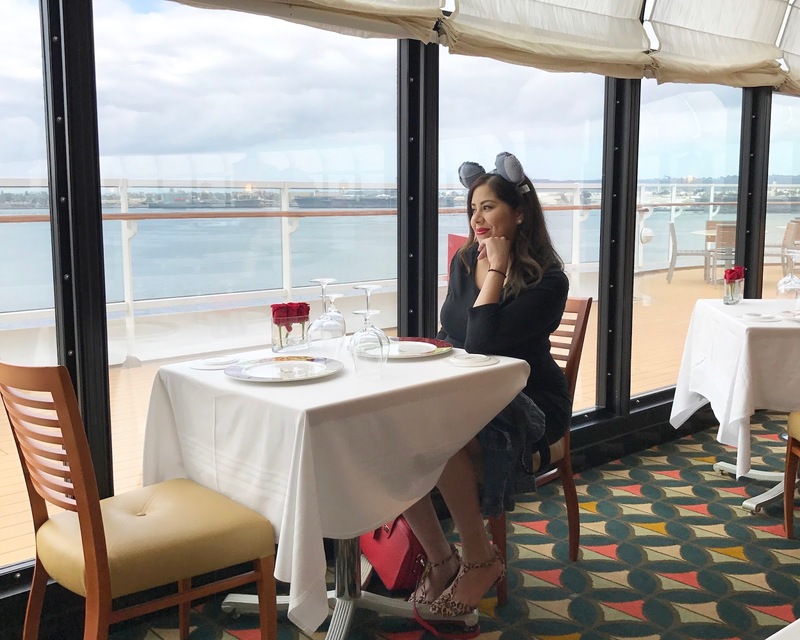 After the tour, I realized that the best part of the cruise are all of the in-ship activities which are true to the Disney spirit - magical! We started our tour at the Walt Disney Theater where they have 3 Broadway style shows playing: Frozen the Musical Spectacular, Golden Mickeys and Disney Dreams. Sven and Kristoff gave us a taste of Frozen the Musical Spectacular with a little performance. 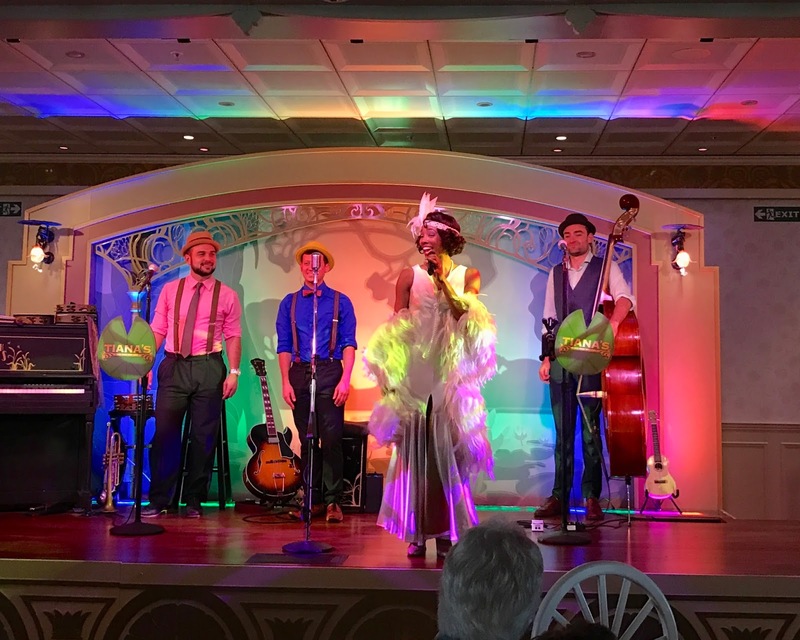 At this time of year, the ship was getting decked out for Halloween which was exciting to see the transformation throughout our tour. We got a peek inside Disney's Oceaneer Club, a playroom where you can drop off your potty trained kids and where I'm sure they'll be mesmerized by all of the fun Disney themed rooms, like Andy from Toy Story's fun room, Frozen's Wandering Oaken's Trading Post and the newly added Avengers Academy which are interactive. On the ship there is also It's a Small World Nursery for the babies and Vibe which is a teen only place (no adults allowed!). Keep in mind these are just the playrooms! There are also pools, restaurants, shows, a movie theater, The Bibbidi Bobbidi Boutique, Disney characters (like Captain Mickey below) and SO much to keep the whole family entertained. We took a tour of the Adults Only sections where you can enjoy some kid-free time. 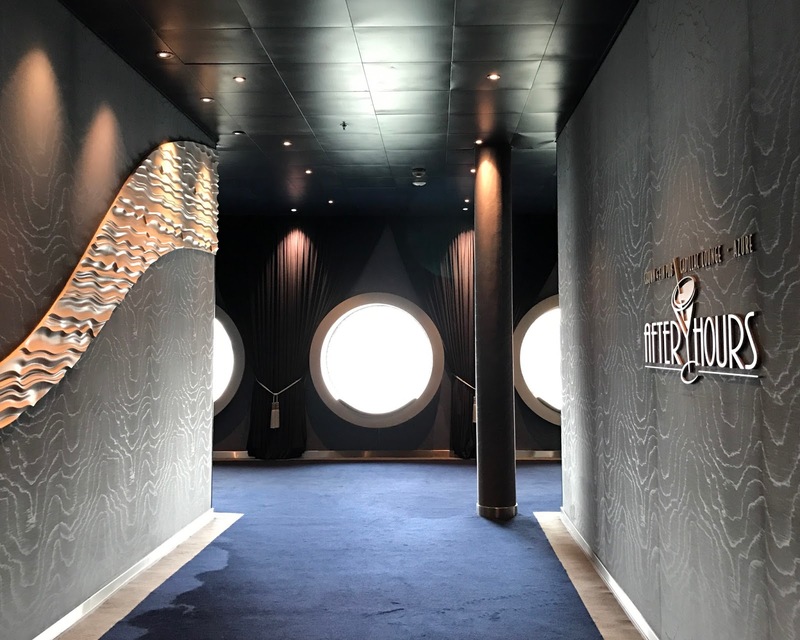 We started with a tour of Palo, the fine dining restaurant at the top of the ship. If the #Publife is more your thing, Crown & Fin is definitely the place to be to enjoy a beer or watch a game on one of their many tv's. There is also The Cadillac Lounge offering a relaxed lounge vibe. As part of the tour we were treated to a wine tasting (that yours truly couldn't partake in because well, I'm over 30 weeks preggers) but based on everyone else's expressions I could tell it was delicious. Azure is also another fun place for adults where they have shows, activities and also it turns into a club! For lunch we were hosted to Tiana's place, with Tiana herself welcoming us with her Southern hospitality, New Orleans style food and music. This is where I got to taste delicious beignets for the first time! They were SO yummy! As far as the rooms go, there are so many options in terms of layout and location so it all depends on your preference when you book. We got to take a peek inside one of the cabins and I totally loved the Mickey details everywhere. And so, my time on the ship came to an end *womp, womp*. I want to thank the Disney Cruise Line for inviting me and treating me to such a wonderful day on the Disney Wonder! Please note: The Media Tour of Disney Wonder was complimentary. All opinions in this post are my own.